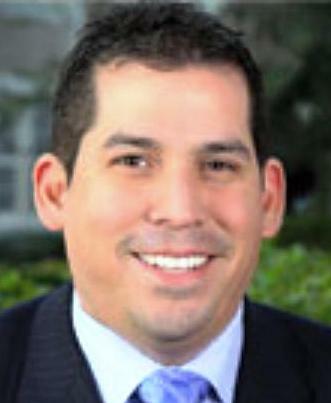 EDINBURG — The previous head of the Edinburg Economic Development Corporation (EEDC) alleged political retaliation in a letter his attorney sent to the corporation. Gus Garcia, former executive director for the EEDC, initially sent a letter Dec. 4, 2017 to board members requesting that they honor his contract after the newly appointed board at the time terminated him in late November. “… As I was terminated within 12 months of the city election, and more than three members of the existing board of the EEDC were removed, the EEDC is required to pay me the value of 24 months full salary and benefits, plus the value of all unused sick and vacation leave, holiday and other benefits accrued or credited to me as of the date of my termination,” Garcia wrote. The board voted to terminate him “immediately” at a Nov. 28, 2017 meeting, but Garcia’s letter indicated his termination did not take effect until a month later, on Dec. 29. On Dec. 28, 2017, his attorney David Flores, of Flores & Torres LLP, sent a letter on Garcia’s behalf to four city and EEDC officials asking for mediation. The document also requested the board to honor Garcia’s contract, which could result in a severance pay of more than $320,000. The attorney further indicated legal action could be taken based on alleged political retaliation by members of the Edinburg council. Garcia previously declined to comment on the matter and referred all questions to his attorney. Flores did not return a call for comment Monday, but sent a text message saying mediation had been scheduled for next month.